These black twist top plastic caps include HS90 induction liners for secure seals. The HS90 liners are only compatible with PET or PVC containers and require an induction sealing machine to adhere. 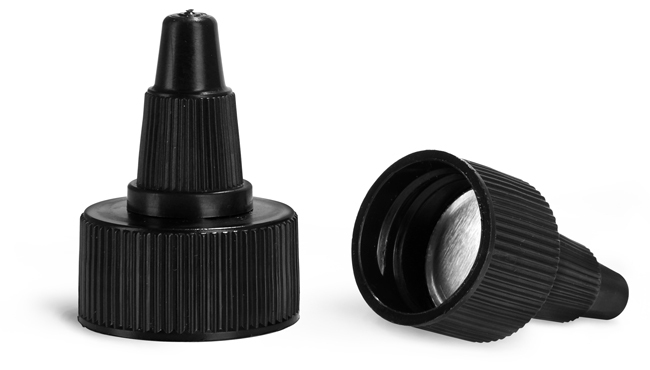 The black twist top caps include HDPE bases and LDPE tips with hole openings 2.9 mm in diameter. SKS highly suggests testing these black plastic caps with your PET or PVC containers for compatibility.